Since Gwyneth Paltrow and Chris Martin put “conscious uncoupling” into the limelight a few years ago, the face of coparenting has started to shift. As a society, we seem to be embracing a new way forward and lots of coparents (some famous, some not) are leading the charge. But what about the rest of us whose stories are different? Is it an epic coparenting fail if you and your former spouse haven’t transformed into best buds? Is all lost if you really don’t like your children’s new “bonus parent”? What if your parenting styles don’t line up chapter and verse? Are your kids doomed if you’re stuck coparenting with someone who is completely contentious at every turn? 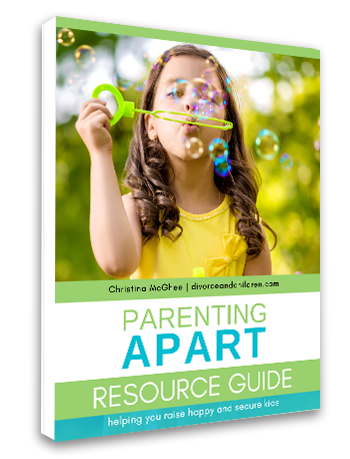 As a coach who has been working with separated parents for 20+ years, I believe the unchartered waters of coparenting (like many things) aren’t so black and white. 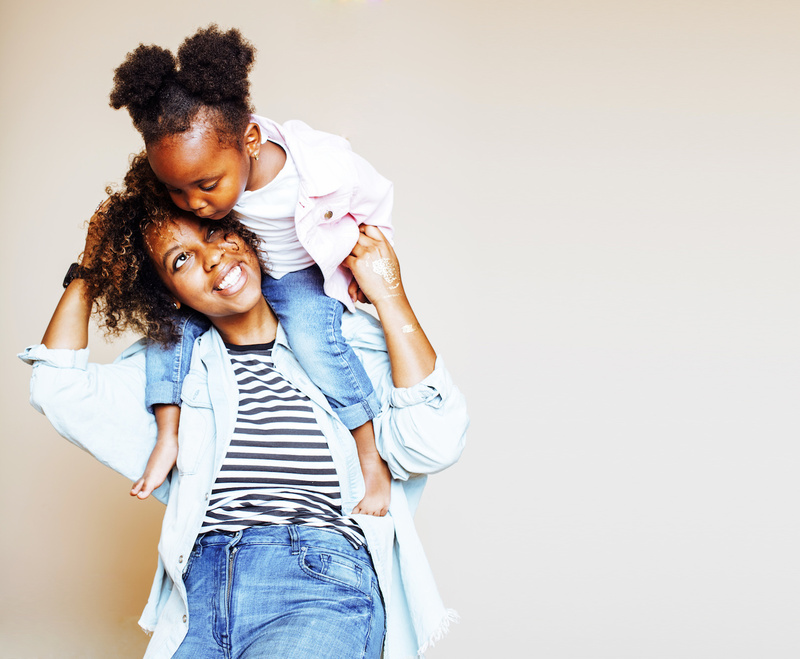 Even when coparents are committed, there are still lots of moments when you have to dig deep, bite your tongue or set aside your pride. For a significant number of modern-day families, there’s substantially more to this coparenting gig than taking up permanent residence on the high road. From where I sit, the quality of your coparenting shouldn’t be measured by “insta” cute pics of you and your EX on a family vacay. Kudos to you if you can put that notch in your belt. However, I believe true badassery in the coparenting department involves grit, picking your battles carefully, deep breathing and lots (and I mean lots) of behind the scenes work. Work that often goes unnoticed, unappreciated or overlooked. Not sure where you fall on the coparenting scale of success? Read on…you might be doing better than you think. 1. You base your decisions on what best for your kids, even when the other parent is a total pain in the A**. There are days when you’d really love to give the other parent a dose of their own medicine, but you don’t. You recognize that even when the other parent is being a royal PITA, it doesn’t mean you should return the favor. You believe your children deserve better than that. Instead, you do what you can to shield them from the fallout. Regardless of how your Ex behaves, you maintain consistent communication and do your best to keep your anger and frustration in check. When your Ex asks to switch the schedule, you don’t mull over whether or not the other parent deserves your flexibility. The bottom line for you is how it will affect the kids? 2. You don’t insist on a happy ending. 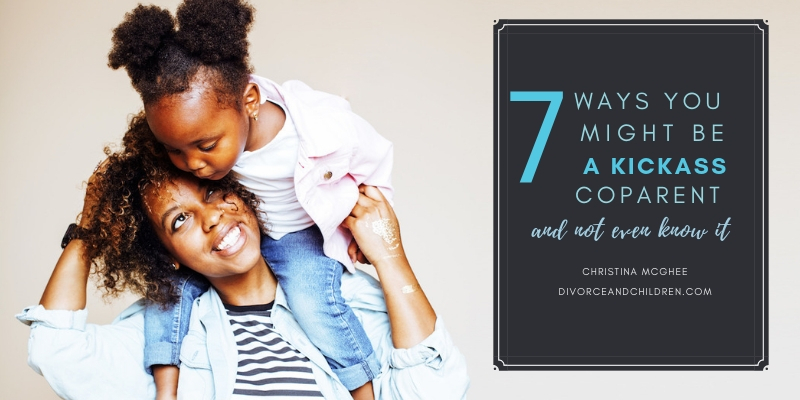 Although divorce made life better for you, you realize it may not feel better for your kids.While it’s tempting, you steer clear of “silver lining” the dark cloud of divorce. You understand there will be days when your children will feel like their whole world is falling apart. Although every bone in your body wants to make it better, you don’t try talking them out of those feelings. You get what they need most is for someone to understand, hold them close, listen and let them know it’s okay to feel that way. 3. You know there’s enough love to go around. Divorce opens the door to a much larger (more complicated) family network for you and your kids. From this point forward, there will be lots of other people who come into their lives. Some you’ll get to choose and some you won’t. While a part of you may hate the idea of someone else parenting your children, a bigger part of you wants them to feel loved and protected wherever they are. You realize there will come a day when they may want your permission to accept someone new into their lives. When those new people show up, you do your best to support those relationships. Even if you don’t like them, you keep it to yourself because it’s not about you, it’s about your kids. While it’s hard to share those beautiful babies of yours, you know children can’t have too many positive, loving adults in their lives. 4. When you screw up, you own your mistakes and strive to do better. Every parent slips up from time to time. Situations will crop up, and you may lose your cool, say things you regret or make decisions you wish you could take back. Instead of justifying or glossing it over, you fess up and commit to doing your best to be better. You know that your kids are learning from you and how you handle your parenting mistakes is setting the stage for how they will handle theirs someday. Without a doubt, there will be days when that highroad gets pretty steep. You may want to lash out, feel overwhelmed, resent the hell out of the other parent or just had enough. Instead of turning to people who reinforce your “not so positive” views, you seek out people who don’t. Your go-to people might be a trusted friend, an online forum, a divorce coach, a support group or local counselor. Even though it’s hard to hear the other side, let go of the judgments and adopt an “it is what it is” attitude, you stay connected to people who will speak the hard truth verses tell you what you want to hear. You know the more balanced you can be, the better life will be for your kids. 6. You have learned to let go. In the early stages of divorce, it’s easy to funnel lots of energy into trying to control things that happen in the other home. You understand that different isn’t always bad and that your rules don’t have to be identical for your children to be okay. Instead of arguing over what time they go to bed, you spend more time focusing on what happens in your home and how you can make things better for your kids. Even when the other parent is incredibly uncooperative, demanding or contentious, you know giving what you get isn’t the answer. So you do what you can to establish a predictable, nurturing and consistent home for your children. 7. When it comes to the other parent, you try to see what your kids see. When things come undone, most of us tend to hone in on all the things that didn’t work and forget about the things that did. Truth be told, it’s pretty easy to do. As human beings, we’re hard-wired that way. Bad unfortunately outweighs good. However, at the end of the day, you know that your kids see themselves as half Mom and half Dad. You get that kids notice off-handed remarks, eye-rolls, and the occasional slight. AND you don’t ever want them wondering if you feel the same way about them. So you work hard to put some distance between how you feel from what your kids see. While your Ex may not have been good for you, you stay focused on all the ways they’re good for your kids. My guess is there are probably a million other ways you’ve achieved kickass coparent status. And to be honest, most of them will probably go unnoticed by the other parent and your kids. But that doesn’t really matter, does it? You’re not in it for the glory. Just another reason you kickass in the coparenting department. How have you been a kickass coparent? Share your story below with our exceptional parenting community. Go ahead be loud and proud, you deserve it.